Great apple iPhone repair specialists are hard to find these days in Brisbane. If you have got a broken iPhone screen and its resting in peace somewhere in the drawer, it’s time to take it out. That is because iPhone screen repairs are now just a click away. Screen Fix Brisbane offers mobile phone repairs services in Brisbane. No matter how smart your phone is, they are smarter. Whether it’s a cracked iPhone screen or any other hardware problem that your phone is experiencing, there is nothing that cannot be fixed. So that means no more filling in the blanks of text messages that you cannot read due your cracked iPhone screen. Save yourself the embarrassment of taking your broken phone out in public. Get an iPhone screen repair in Brisbane today to get a phone as good as new! Screen Fix Brisbane also offers quick and reliable iPhone repair services. Believe it or not, that means your cracked iPhone screen can be fixed and returned back to you the same day. Don’t let price and complexity stop you from having you iPhone repaired today. They know affording an iPhone is difficult these days and maintaining one is difficult too. They will treat your phone with all the love and care that you would. And all of this is expertly done in the most efficient manner because they also know that you cannot stay away from your iPhone for too long! Moreover, they understand that everyone’s got a busy life in Brisbane and the last thing you want to worry about is finding well priced apple iPhone screen repairs in your city. 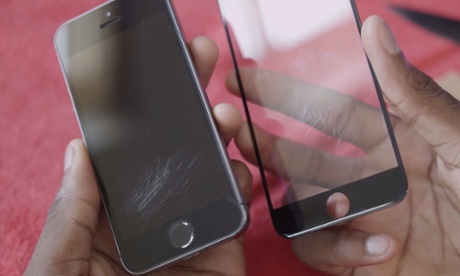 When we fix a cracked iPhone screen it comes with warranty, there is nothing to worry about. At Screen Fix Brisbane we wouldn’t have it any other way. Having your iPhone screen repair performed by the a specialist at Screen Fix Brisbane guarantees users with a warranty on the service provided. If the phone requires a replacement of any hardware portion, it is replaced with an authentic and genuine part that comes with a three month warrantee as well. So really they are like the doctors for your iPhone, repairing any problem no matter how big or small, easy or complicated, promising it to be quick and cheap. So don’t think twice. Contact us if you are seeking apple iPhone repairs in Brisbane. As well as if your phone has been able to escape damage, then bookmark the website because the next time your iPhone falls, it might not be that lucky.